Would you like to supercharge your work with the Law of Attraction? Are you ready to take your spiritual awareness to the next level? 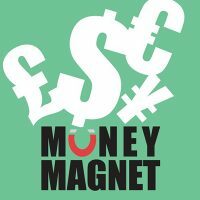 Do you want to attract more well-being and prosperity into your life? With the new era of consciousness already upon us, it really is more important than ever to self-develop and to align with the universe in order to survive and thrive. For many spiritually awakening people, having the discipline to study, to apply what we learn, to meditate, visualize, and to live in harmony with nature can be a challenging and time consuming process; even if the benefits do far outweigh the hardships. For this reason, we have created Harmonize With The Laws Of The Universe: a powerful audio program designed to help you spiritually and mentally evolve faster and easier than you ever thought possible! BUT YOU MUST TRAIN YOUR MIND TO WORK FOR YOU AND NOT AGAINST YOU! It’s a fact that no matter how many self-development programs you do, or how many books you read, if your mind is not 100% convinced to change things – nothing will ever work! And isn’t life too short to risk missing out on living your dreams? START changing things from the inside and finally get to experience the life you really want to live! This program changes everything from within. By using cutting edge subliminal technology, our therapists are able to speak directly to your unconscious mind, dispelling any old, hidden beliefs which might otherwise hold you back. Effectively structured and powerfully scripted clinical hypnotherapy sessions, recorded in real time by both male and female therapists, then multi-layered into the recording at different volumes and at varying subliminal frequencies (above the threshold of human hearing). This means that all the positive programming goes straight into your unconscious mind and that all you can hear are soothing and relaxing sounds, with no annoying and repetitive voices to endure! By simply listening to the program every day for 12 weeks (with one new recording every 2 weeks) you can safely and progressively program your unconscious mind to assist you in key areas of your spiritual growth; all the while, aligning your energy with the Law of Attraction, the Law of Abundance and other Universal Laws of Life. After 12 weeks, the super-powerful “Ultimate Universal Harmony Meditation” can then be listened to. Of course, each recording can also be used as a standalone product (i.e., instead of part of the program), but we do recommend that customers complete the full program for best results. gratitude, love, joy and compassion: essential foundations for any spiritual practice to build upon. Throughout phase 2 (weeks 5-8), you’ll clear any deep-routed inner blocks to success, wealth and well-being. The recordings in this phase can help you let go of the past, focus clearly on your vision for the future, and strengthen your ability to make decisions: all key ingredients in the recipe for a successful life. During phase 3 (weeks 9 to 12), you’ll build deep-routed faith and trust in the universe at large, strengthen your self-belief (and your belief in others), develop unshakable courage to follow your dreams, and enhance your ability to give freely and receive graciously. As you advance through the program, each recording builds upon the previous recordings. We refer to this method as “subliminal stacking”; an approach which guarantees that by the end of 12 weeks, your brain is wired to fully comprehend and absorb the information in phase 4. This powerful phase features the super-effective “Ultimate Universal Harmony Meditation”; the culmination of the entire program—a track that combines everything your mind has learnt over the previous 12 weeks, and gently brings your body and mind into complete harmony with Universal Law. This track should be used for a minimum of 2 weeks, although it can be used indefinitely. Each track lasts for around only 25 minutes and gives you a deeply relaxing and rejuvenating way to take time out in each day, to listen to upon rising, or to enjoy just before going to sleep at night. In addition to each recording, all four phases feature silent versions for you to use virtually anywhere, and at any time. These convenient tracks give you the option to reinforce the work you are doing with the program and can be used while you travel, while you eat and even while you sleep! 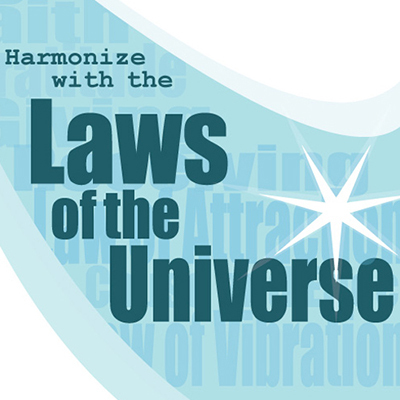 Now YOU CAN achieve your dreams with Harmonize With The Laws Of The Universe! Your success is very important to us, which is why we offer FREE LIFETIME SUPPORT to all of our customers. This product also carries our 30 day money back guarantee, so there’s absolutely no risk on your part and you have everything to gain. So, how much does this incredible program cost? This entire set is valued at $249 – but you won’t have to pay anywhere near as much. In fact, we’ve been selling this program recently in the digital MP3 format for just $97, simply to help as many people as we possibly can…BUT for a LIMITED TIME ONLY – your investment in your future is only $47! And of course, you can still purchase the 4-CD box set for a little extra if you’d prefer. When you consider how much it would cost to work with a hypnotherapist alone, the savings are huge. Not only that, but finding a hypnotherapist who would know how to work with your mind in such a way would be virtually impossible. Our subliminal hypnosis scripts have been carefully crafted and structured in such a way that the recordings become more and more powerful every time you listen. In fact, development of Harmonize With The Laws Of The Universe was so thorough that it took over a year to complete! With this program, you benefit from many years of research, study and application in the area of self-help and spirituality. Our own self-development studies have consisted of thousands of dollars worth of material, and as such, we understand the principles and methods taught by the majority of self-help gurus around today. This means that our program will accelerate the work you are doing with virtually any other self-help material. LEAVE NOTHING TO CHANCE! If you are spending your hard earned money on self-growth, congratulations! You have found the path to a greater life. However, you’d be wise to make sure that you are learning and absorbing things at a deeper than conscious level, because if you aren’t, nothing will change. PERIOD. This is one of the main reasons why thousands of people fail to get the results they want, or complain that the Law of Attraction is not working for them: they know what to do consciously, but their unconscious mind hasn’t fully absorbed the information. This program is different: it changes you from the inside out. By using Harmonize With The Laws Of The Universe every day for 100 days, you will mentally, spiritually and emotionally evolve much faster than you ever thought possible. No matter what stage of spiritual development you are at, our program CAN help you get to where you want to be! Even if you are currently working with other self-help material, the program WILL make sure you succeed! In fact, there are no self-development courses, spiritual paths, holistic approaches or ancient teachings that cannot be enhanced by this phenomenal program! you’ll also get these fabulous additional bonuses, absolutely FREE! Visualization plays a vital role in many self-help programs, especially when working with the Law of Attraction; and this fabulous subliminal recording can be used to help you get the most out of your visualizations. As you run the mental movie of your ideal lifestyle, this powerfully scripted track will make sure your mind really sits up and takes notice! As important as it is to grow spiritually and mentally, having plenty of money makes the journey so much more comfortable! This fantastic MP3 can be used to help you align with the Law of Abundance, and encourage your mind to become more interested in your own definition of wealth and success. This classic self-help book, first published in 1902, is considered by many to be one of the best ever written. In our opinion, this IS the best! Digitally reproduced especially for Perfect Subliminal customers. Another classic book, and one dear to our own hearts. Your Invisible Power was first published in 1921, and to this day, serves as a powerful guide to the art of visualization (among other things!). Again, this eBook has been digitally reproduced especially for our customers. This incredible recording is designed to revitalize you whenever you feel a little tired or sluggish. 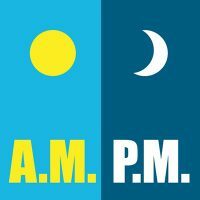 The scientifically proven elements in this recording can enable you to experience the equivalent of several hours’ deep, restful sleep in only 10 minutes!! AND REMEMBER, you also get FREE LIFETIME SUPPORT when you purchase the program, so you can always get help and advice whenever you need it. Our personal clients pay $200 per hour for this, but you get it for FREE! URGENT: This $47 Offer Will End Soon! Let Harmonize With The Laws Of The Universe help to clear the way for you, release all inner resistance, and bring you into perfect harmony with the Laws of Life. We look forward to assisting you on your journey. Taking Action Is The Key To Success! P.S. If you’ve studied the Law of Attraction, you already know that you have attracted this program into your life, BUT you have to take action: that’s why you’ll find the word ‘action’ in the Law Of Attraction! Remember, there’s absolutely no risk involved when you buy the program – so act now, you have nothing to lose and everything to gain! P.P.S. 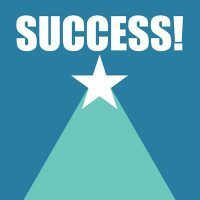 We want to personally help you succeed. Our FREE LIFETIME SUPPORT gives you the opportunity to work with professionally qualified and experienced therapeutic life coaches who can really help you get to where you want to be! Join the world's first subliminal audio streaming service for immediate online access! I never had a support like yours…..you are really so good, just like your subs. Thank you very very much, you are really amazing!